Citing a record 457 submissions, Frankfurter Buchmesse–coming up October 10 to 14 this year–awards free exhibitor stands to a Danish artificial intelligence platform and a community publisher on travel. 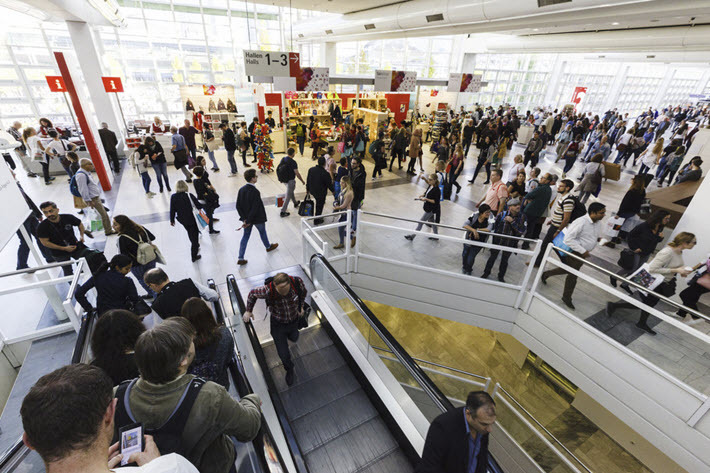 This year, as Publishing Perspectives reported, the Frankfurter Buchmesse doubled its offer of free “wildcard” exhibitor stands, so that both a German national company and an international exhibitor could win a spot on the show floor. Today (June 20), the fair is announcing its winners in what has turned out to be the biggest annual competition yet for the free stands. The response comprised 457 applications from 35 countries—almost as many applications as were received in the previous three years put together (460). The winner of the international wildcard is an AI-based publishing platform named UNSILO from Denmark. In press materials, the company says that it optimizes publishing processes with the help of algorithms and machine learning. The winner of the national (German) wildcard Reisedepeschen Verlag, a crowdfunded publishing house founded by two travel bloggers. Their reisedepeschen (travel dispatches) are elaborate print books designed in association with other travel bloggers and designers. In a joint comment for the announcement, Marianna Hillmer and Johannes Klaus, managing publishers at Reisedepeschen, are quoted, saying, “With our travel books, we bring together creative minds from the travel-blog and publishing worlds. In summing up the attributes of the two winners of the wildcard stands this year, Böhne says, “The joy of traveling and exchanges within the community dominate the entire development process at Reisedepeschen Verlag. More from Publishing Perspectives about Frankfurter Buchmesse, which is in its 70th anniversary year in 2018, is here.